I didn’t realize that I had an actual legal obligation to take all reasonable steps to get better, including paying for therapy that ICBC refused to continue funding. Is ICBC going to be able to get away with paying only a portion of fair, financial compensation for my losses? 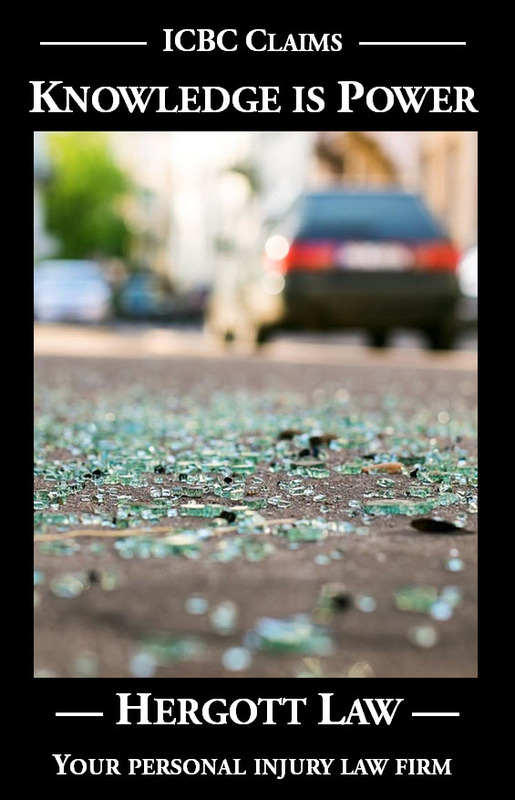 A negligent driver who causes a crash has a legal obligation to pay fair, financial compensation to an injured victim, to compensate the victim for injuries, treatment expenses, lost income and other losses. All drivers in British Columbia must have liability insurance, which is attached to whatever vehicle they are driving, purchased from ICBC. That liability insurance passes the legal obligation onto ICBC. This right to fair compensation is generally known as a “claim” against ICBC but really is a legal right against the offending driver. Many, if not most, people are unaware that the injured victim also has a legal obligation. The victim has an obligation to take reasonable steps to keep their losses, and therefore their claim, as small as possible. In legal terms, this is called “mitigating” your loss. How might a victim do that? One way is by diligently pursuing your medical recovery, seeking and following through with recommendations for care. The victim (referred to the plaintiff) in the recent case of Harmati v. Williams, 2016 BCSC 2199, was either unaware of her legal obligation to mitigate her losses or simply ignored those obligations. She did not seek treatment in a timely fashion and discontinued therapies even though she saw some improvement. She also failed to continue with active rehabilitation because ICBC refused to pay for it, even though she had the financial means to pay for it without ICBC’s help. ICBC asked the court to reduce Ms. Harmati’s entitlement to fair, financial compensation by 20% on the basis that she failed to mitigate her losses. The Defendants submit Ms. Harmati failed to mitigate her damages and that awards ought to be reduced by 20% due to her failure to mitigate. They argue that she did not seek treatment in a timely fashion and submit that after she attended counselling with Dr. Halpern and active rehabilitation, she saw improvement; however, she discontinued these services and did not seek physiotherapy. The Defendants claim that this amounts to a failure to mitigate. Ms. Harmati submits that she has not failed to mitigate her losses and cites a lack of financial resources as the reason that she stopped active rehabilitation. The Plaintiff testified that she believed ICBC should pay for any rehabilitation costs. The Defendants argue that Ms. Harmati had the financial ability to continue active rehabilitation, as evidenced by Mr. Gosling’s testimony about his offer to pay for treatment. As there was no real financial impediment to Ms. Harmati receiving treatment, the Defendants claim that her failure to do so amounts to a failure to mitigate her losses. (c) the amount by which those steps would have avoided or reduced the loss. The defence must “present the necessary evidence to raise failure to mitigate from speculation to reasonable inference.” (Chiu (Guardian ad litem of) v. Chiu, 2002 BCCA 618 at para. 66). The Defendants point to the Plaintiff’s failure to seek out additional rehabilitation and psychological counselling services as evidence of a failure to mitigate her losses. However, the Defendants have not made a clear argument as to which award would be reduced, be it her non-pecuniary damages, future earnings losses, past earnings losses, or all of the above. Additionally, no medical evidence was presented supporting the submission that Ms. Harmati would have recovered faster or more fully had she sought additional treatment, nor was there evidence as to “the amount by which those steps would have avoided or reduced the loss” (Frers at para. 217). As in Chiu, the Defendants failed to present evidence on the impact that treatment would have had on the Plaintiff’s recovery, and any benefits arising from treatment have remained mere speculation (Chiu at para. 66). Because of this lack of evidence about the nature of the losses which could have been mitigated, and the potential success of such mitigation efforts, I do not find that the Defendants have proven that the Plaintiff has failed her duty to mitigate under the Frers test.